“Like father, like son”, is often said, and it’s an expression which suits the Wadenges, father Georges and son Cameron, down to a tee. The pair are both enamoured with football and the national team jersey. 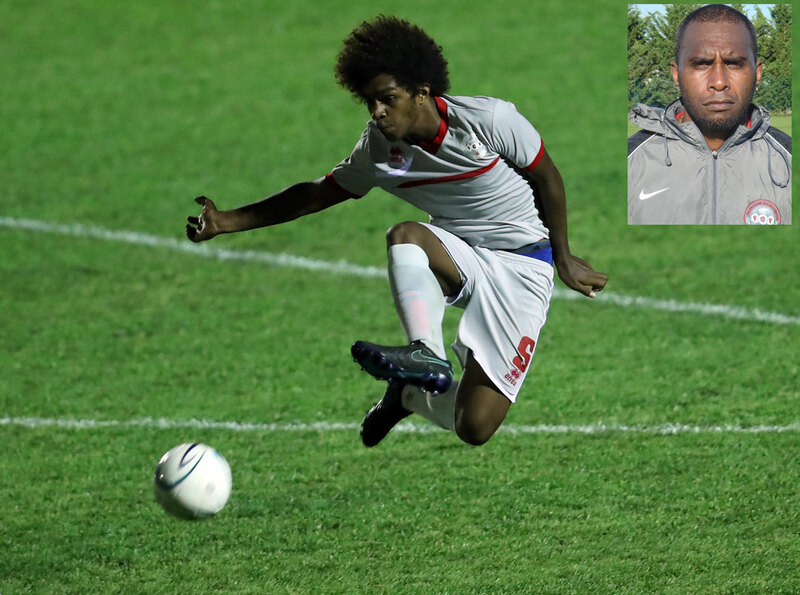 This year 16-year-old Cameron was a pillar in the New Caledonia back-line as they qualified for the FIFA U-17 World Cup – a first for the nation. And being able to follow in his father’s footsteps, a former international defender himself, is a dream come true for the younger Wadenges. It was only two years ago when Georges hung up his boots and while he has some regrets about no longer playing the game he loves, it has given him more time to watch his son make history for his country. “For my son, it’s clear it’s the pride of a father. The Cagous shirt, it’s a second skin and to see him in these colours makes me even more proud,” the former national team captain said. The similarities between the two of them is quite astounding to anyone who has met them. They possess the same character, play the same position and with the same style on the field, they share the same club – Magenta – and have the same winning mentality and leadership qualities. To see him following in my footsteps was quite funny to start with, in the U-12, but now it’s become serious and I wish him success,” he said. Without a doubt, Cameron is a mould of his father – and that’s the way he likes it. “My dad, for me, was a complete defender. He has a great passing game, long and short, and the way he plays with his head is irreproachable. It’s maybe that which made him special,” the youngster said. His analysis isn’t particularly surprising given his knowledge of the game is above average, especially when it comes to the on-field role they both enjoy. “It’s a difficult position. It demands a huge amount of concentration and consistency of performance,” Cameron said. With his father happy to give him pointers on how to master the role of leading the backline, Cameron is now focusing on the FIFA U-17 World Cup which is looming large. “The FIFA World Cup is a massive, and marvellous competition,” he said. Georges agrees stating the enormity of what Cameron and his teammates have achieved is still sinking in. “For his family, his parents, uncles, cousins, everyone – it’s an enormously proud moment to see Cameron going to the World Cup,” Georges said.